Yeah those Scout reenactors look good...(but not good looking).... haha okay old pun joke. Man that was great and only a trailer. Who was that old guy on the horse? That was a great shot Rudy. I didn't know you had a mounted shot. That was a pleasant surprise. Thank you Donald!! Finally some one who "Gave a Damm! " 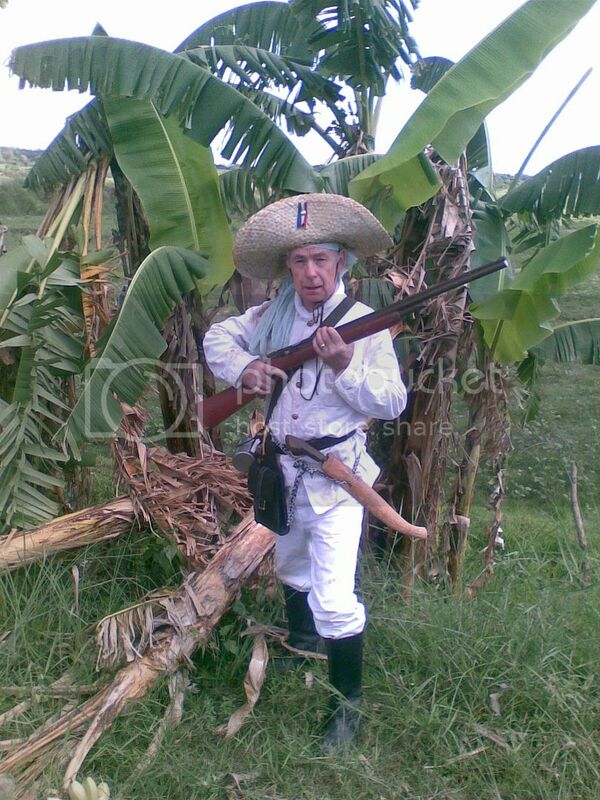 for the Battlin bastards of Bataan! Congradulations on the preview. No Mama! No Papa, No Uncle Sam! Let us know if you need more reenacted scenes to augment segments of your film. Thanks. Well, we will use what limited resource we got. We are very resourceful, remember how we shot the scenes from the "moving" scout car? And the 37mm with the people behind us who thought that Vic has been really injured? I do enjoy doing those things with you guys. Vic, I definitely need some more reenacted scenes. I've been trying to get in touch with the Virginia Museum of Military Vehicles to shoot a scene where "Capt Bianci" will be climbing up a M3 tank and shoot the 30 cal mg. So far they have not responded. What about the Ordnance Museum in Aberdeen, MD? I thought I saw a picture of a Stuart tank outdoors. It's also halfway between the two of us. 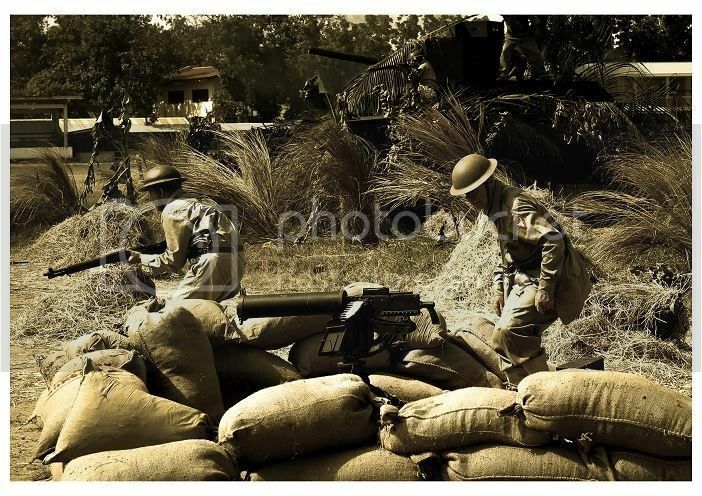 Donald Plata' s new trailer for "Forgotten Soldiers" Nice work! A lot of great footage and effects work! Very nice I like that shot of Ramil beside the tank with that "determined" look. I like the tracers through the night effect. Too bad you don't live in the Pacific Northwest - there is a Stuart Tank at (or near) Fort Lewis, near Tacoma. Here's a picture of another M3 Stuart tank I took while visiting my daughter in the Army at Fort Hood, in Texas. The M3 is a slightly later version of the M3 (the top of the turret was modified) and Philippine M3s didn't have the white star (something I've noticed in pictures of Philippine re-enactors you might want to watch out for). Here is the documentary's newly set up website. Awesome job Donald. It includes a easy way to make a tax-deductible donation to this worthy project. Ok troops. Start posting and get the word out. We need to get hits out there so the film is invited to film festivals in your area. Get your friends and family involved using your social networks. We Remember Bataan and will Never Forget! 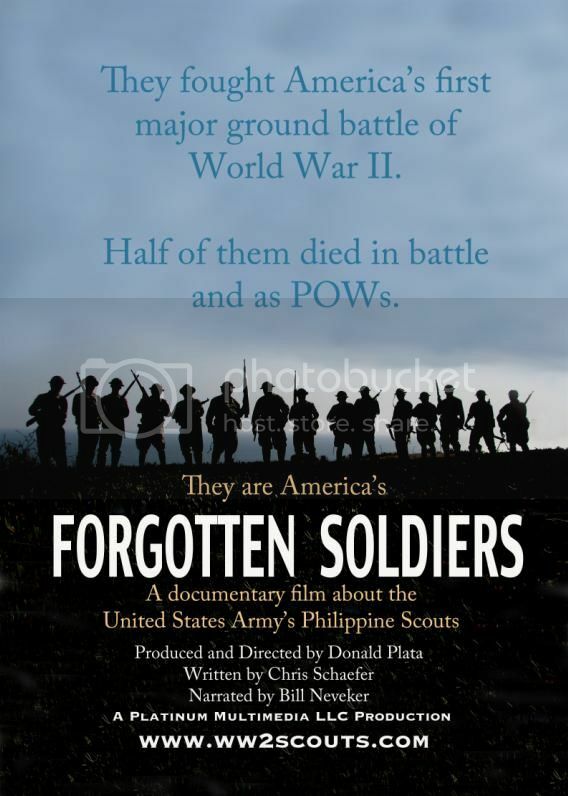 Forgotten Soldiers won an award at the Los Angeles International Underground Film Festival. Congratulations to Donald Plata! Mabuhay ang Philippine Scouts! Our greatest generation will not be forgotten! Thank you Donald! Shown at the UNDERGROUND Film festival says it all! 69 years after the event and still the yanks don't want to expose the truth! The japanese will never admit to the horrors they committed,---- it would mean loosing face! The Americans concentrated on Japan so as to install an American counter culture and democracy (US model of course) and had no need to do so in the Phil. as it was already a copy-cat state of Colonial America! then Japan was too close to communist China. Pres. Marcos was already America's Boy and hunting down the Huk. Marcos ruined the nations chance of outdoing Japan (not America) by permitting widespread corruption and restricting ownership of all companies and business development to Filipinos, giving them major control of all, Foreign investors on seeing their money controlled by so many corrupt Fil. directors chose to invest in Japan and elsewhere instead, and who can blame them. The term UNDERGROUND refers to Independent Filmmaking or sometimes even termed as "Guerilla Filmmaking", meaning they are not budgeted by the big guys. Not for any activism purposes or anything else. So many other film festivals in Europe use the term.